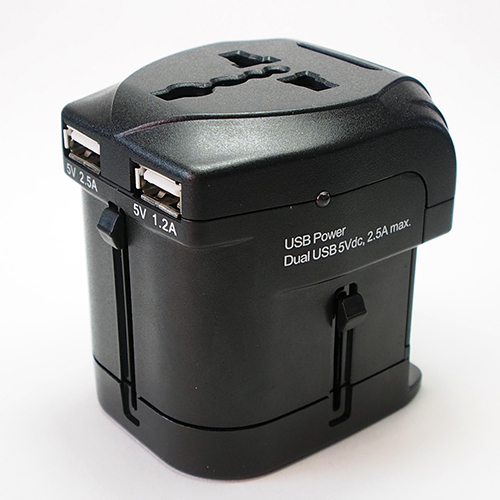 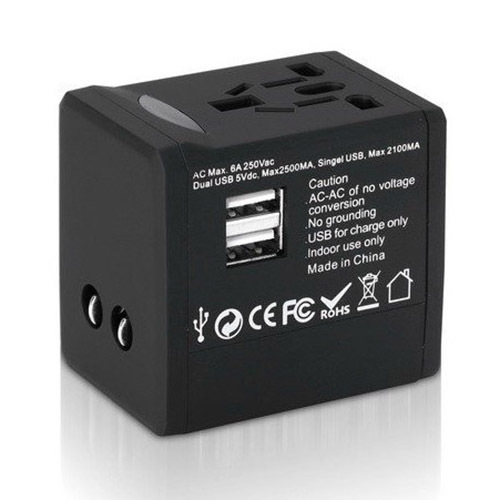 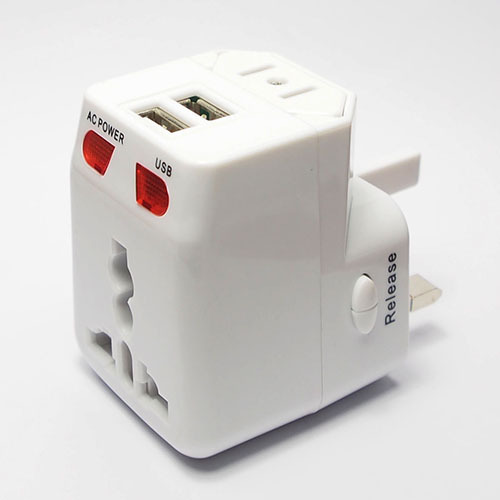 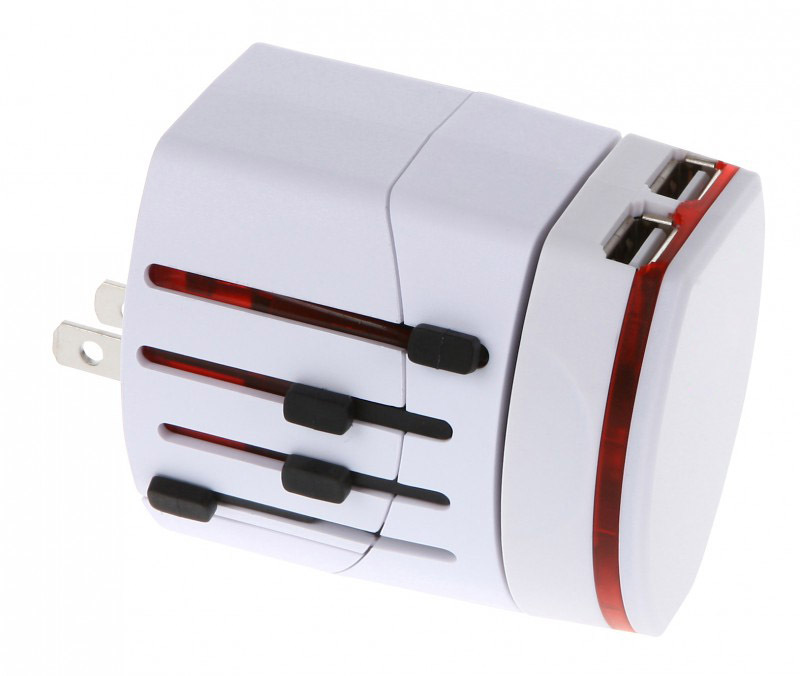 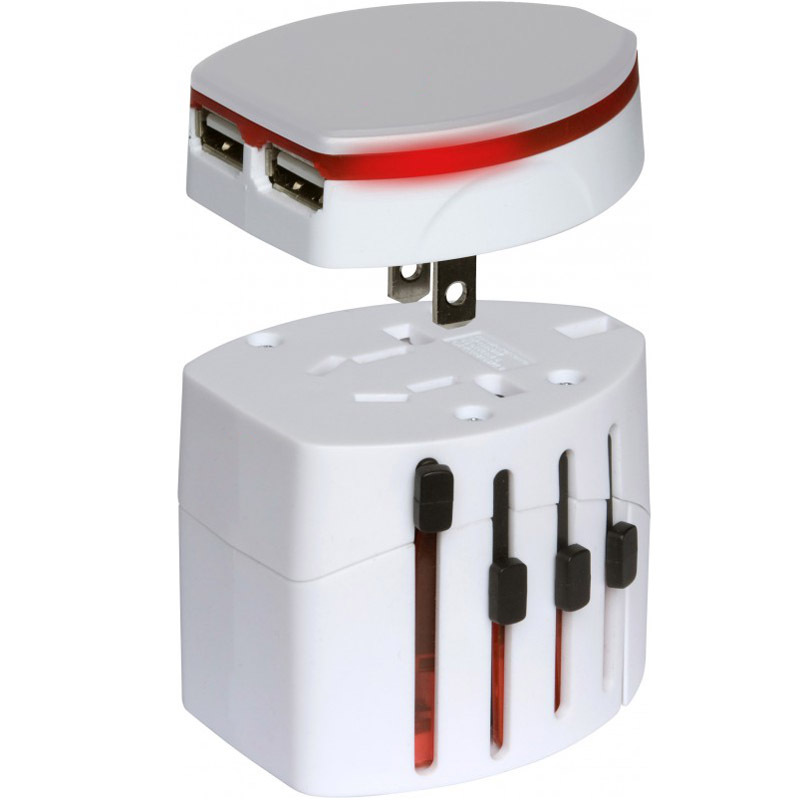 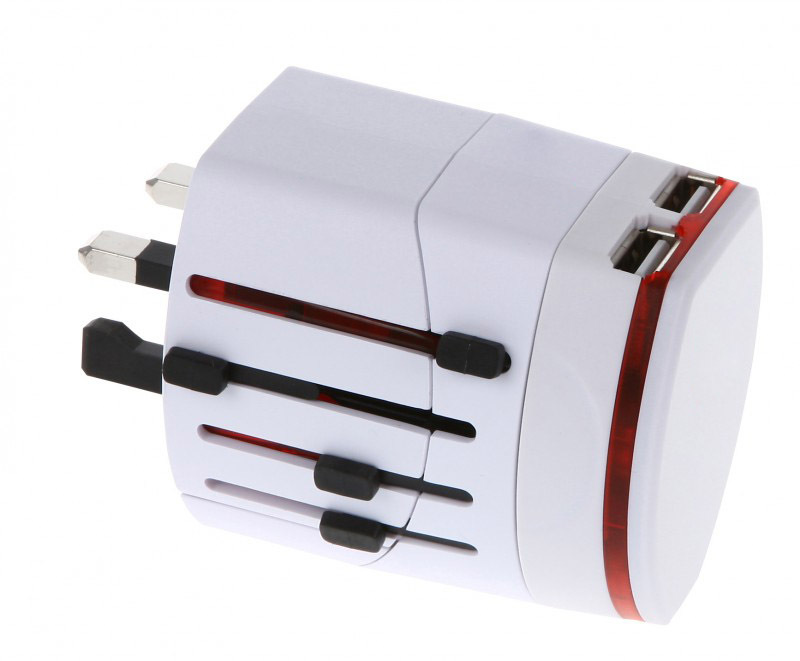 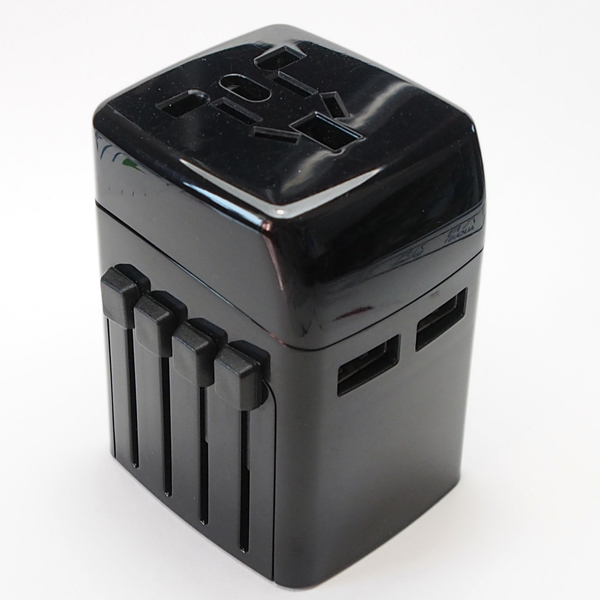 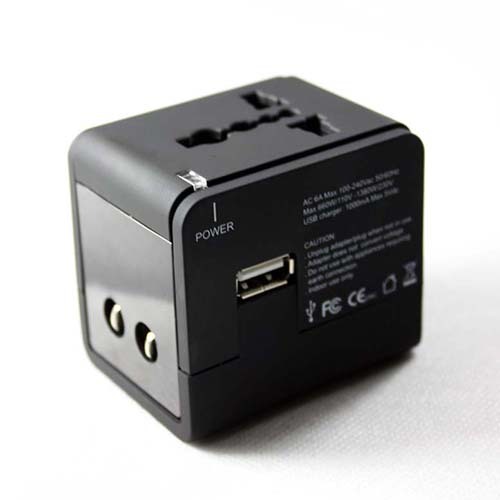 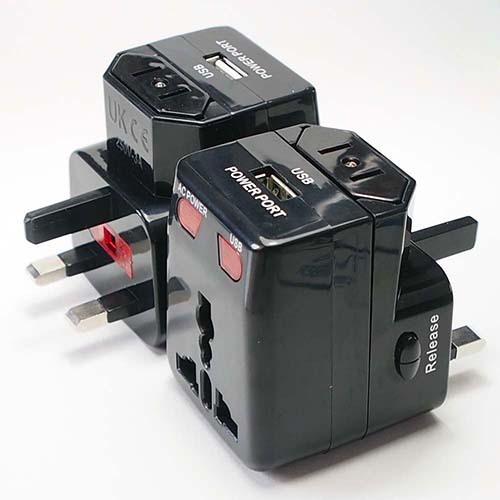 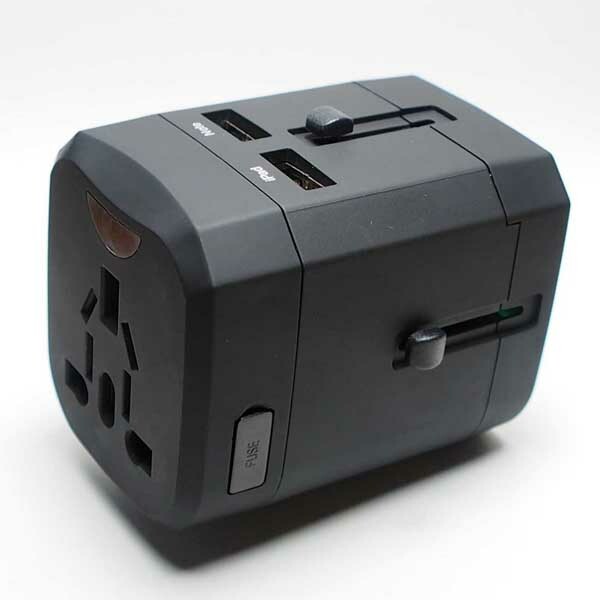 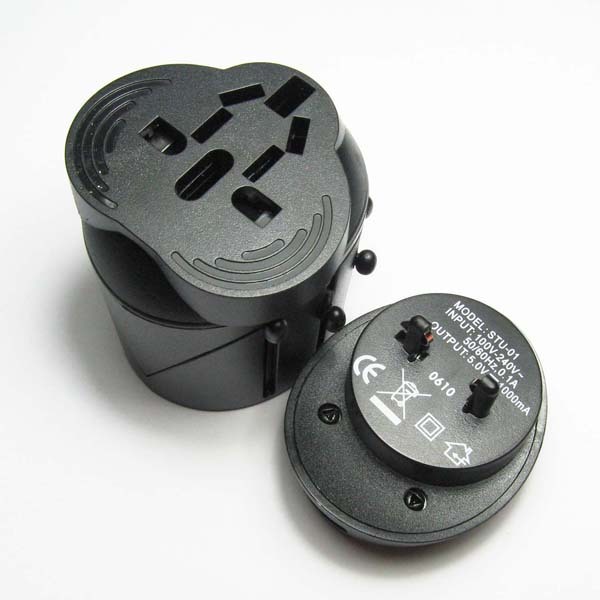 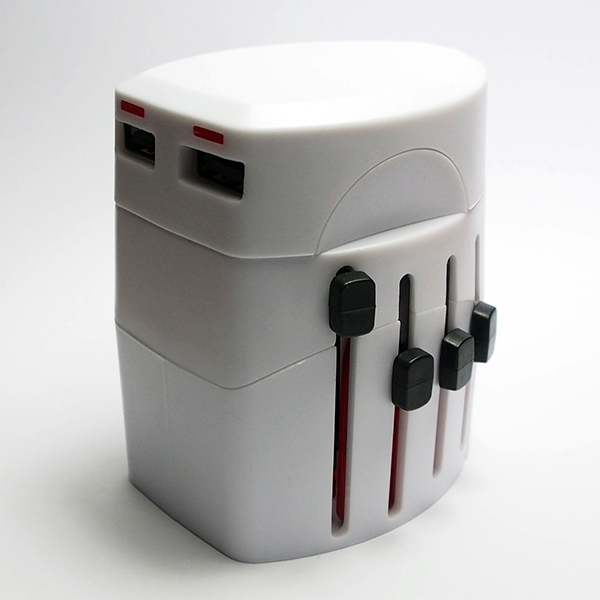 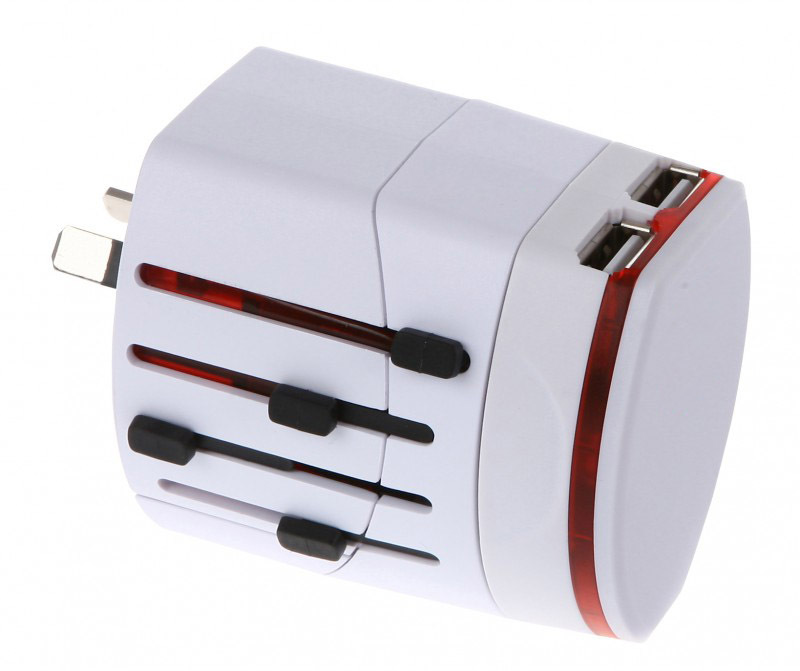 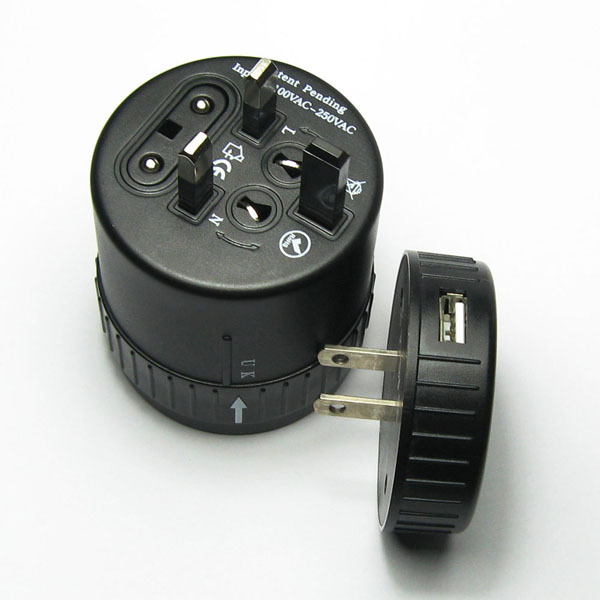 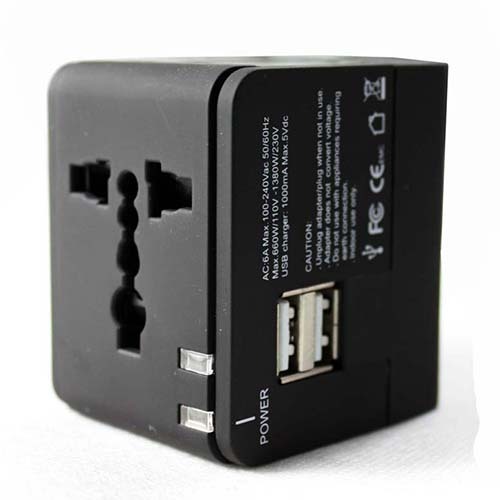 SWA2U World Wide Travel Adapter with USB Charger-Rongkuang Electric Co., Ltd. 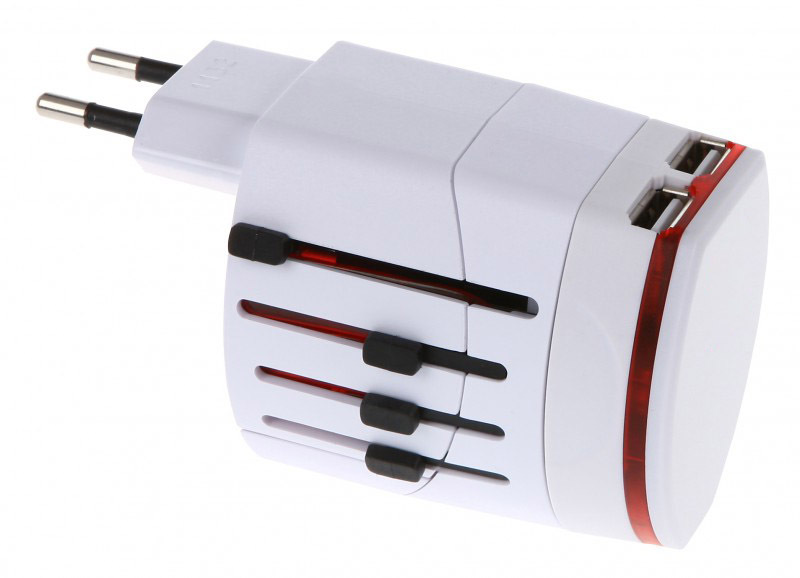 The World Adapter Evo USB is fitted with a powerful dual USB top, which transforms your adapter into a USB charger in an instant. 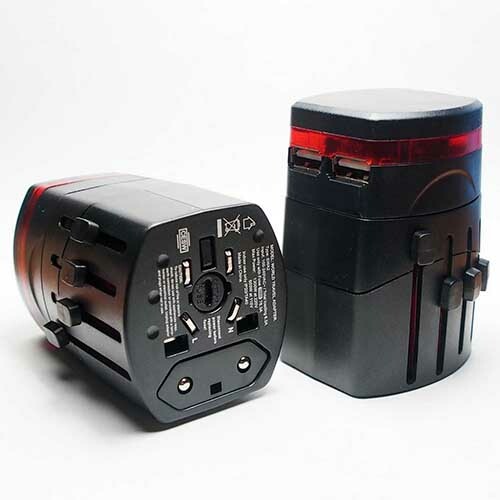 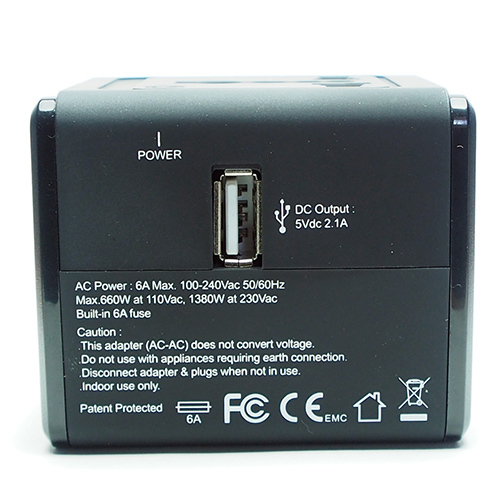 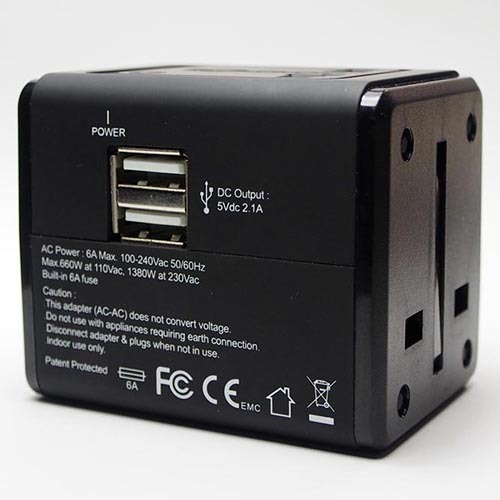 This offers you the practical facility of easily charging your USB devices in any local mains socket - you can even charge two devices at once thanks to the high performance and the dual USB connection.